Can the Army pull off buying two new helicopters back to back? WASHINGTON — The Army’s track record over the past few decades hasn’t been good when it comes to trying to buy a new helicopter, but now the service wants to buy not one, but two different aircraft in order to modernize its force to be able to operate in increasingly challenging future environments against adversaries with similar capabilities. The service decided this year that it would push to develop and field a long-range assault aircraft that would fit in the medium-lift aircraft category, as well as an attack reconnaissance aircraft, relatively back to back. The Army had already been developing a medium-lift Future Vertical Lift helicopter through its Joint Multi-Role Technology Demonstration program. Bell and a Sikorsky-Boeing team are each building and flying aircraft that will inform requirements for an FVL program of record. And the Army just released a solicitation to industry asking for designs for a Future Attack Reconnaissance Aircraft, unveiling plans that it will enter a competitive prototyping effort to ultimately buy and field the aircraft. Under the new Army Futures Command, tasked to develop a modernized force focused on six major priorities, Future Vertical Lift is the third highest priority behind Long Range Precision Fires and Next-Generation Combat Vehicle. While the Defense Department received an influx of cash from Congress in fiscal years 2018 and 2019, future defense budgets are not expected to rise. At the same time, the Army is undergoing one of its biggest modernization pushes since the 1970s and 1980s. 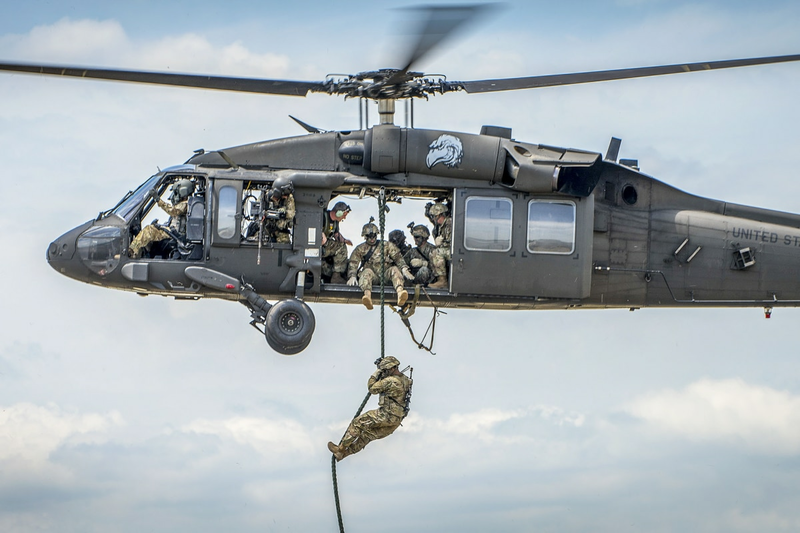 That was the last time it was able to bring on several different helicopter fleets in close succession — the CH-47 Chinook cargo helicopter, the UH-60 Black Hawk utility helicopter and the AH-64 Apache attack helicopter. The Army has acquired a commercial off-the-shelf helicopter since then — the LUH-72A Lakota — to perform missions in the continental U.S., medical evacuations and be the service’s initial rotary-wing trainer. But the Army has tried, and failed, to buy a replacement for its aging OH-58 Kiowa Warrior armed scout helicopters three times — the Comanche program, the Armed Reconnaissance Helicopter program, and an Armed Scout Helicopter fly-off that looked for commercial off-the-shelf offerings. The Army decided nothing it saw during the demonstrations met all of its needs. 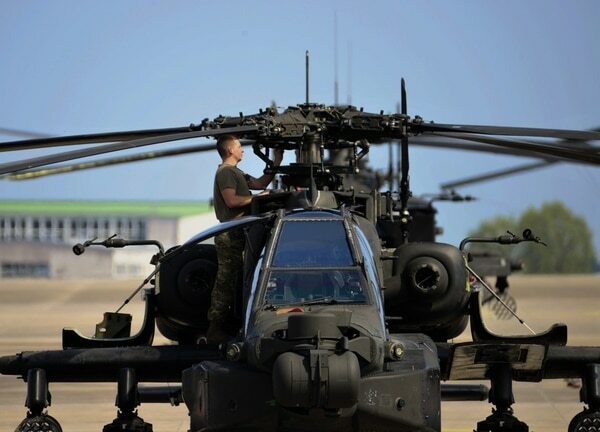 The service in 2013 retired the Kiowa without a replacement, choosing to fill the gap by teaming AH-64s and UAS — a less-than-ideal solution due to the expense of flying Apaches. For Army leadership, this is not about whether the service can buy two new helicopters. In their minds, the Army has to get something new. “We can’t just do one. We need both,” Lt. Gen. James Pasquarette, the Army G-8, in charge of planning, developing and resourcing programs, told Defense News. The Apaches and Black Hawks have been “workhorses for 40 years,” he said. Rugen, who leads the FVL Cross-Functional Team — which resides under Futures Command — said the team has put together a “very innovative plan” this time around. One of the main differences is that the Army has put affordability goals into its requirement documents, Rugen said, which is relatively unprecedented, at least when it comes to buying new aircraft within the service. And it’s also about making trades, something the Army has been less flexible with in the past when developing capabilities to match requirements. Through Futures Command, communities from science and technology, requirements development, acquisition, testing, sustainment and logistics, and training all come to the table to hash out the road map, a big difference from the old stove-piped process. The Army is developing a digital backbone for its future family of vertical lift aircraft that could transform procurement across the service. The Army is also taking comfort in the fact the current leadership is knowledgeable and on board with the procurement plans. “You’ve got a lot of senior leaders that were in positions in the past where they saw these things play out,” Army Under Secretary Ryan McCarthy said in a recent interview about past acquisition failures. Jeff Schloesser, Bell’s executive vice president of strategic pursuits — which is building one of the Joint Multi-Role Technology Demonstration aircraft, the V-280 Valor tiltrotor — said the efforts his company has pursued over the last five years to develop future helicopter technology sets the Army up for progress. Additionally, Bell as well as Boeing and Sikorsky have not just been building a one-off prototype to fly, but have also been tasked to develop how the aircraft would be built affordably if they were chosen to go into production. While the Army plans to competitively prototype its FARA aircraft, the way ahead for the Future Long-Range Assault Aircraft program is less clear. However, the program should begin to move through technology development and engineering and manufacuring development ahead of FARA. Schloesser said he believes the Army needs to transition the JMR TD efforts into an competitive prototype program as well that supports the program of record. For instance, Bell plans to offer a strategy to produce 10 operationally ready aircraft by 2028, Schloesser said. “We’ve taken that on as a challenge and we think that is very possible,” he said.